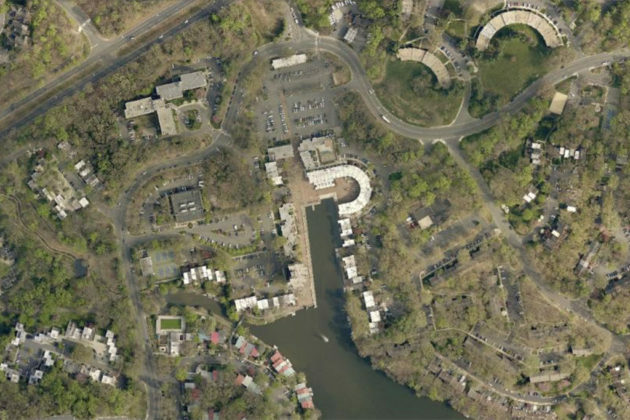 The Reston Then and Now series is going back to where we started for our penultimate episode: Lake Anne Plaza. 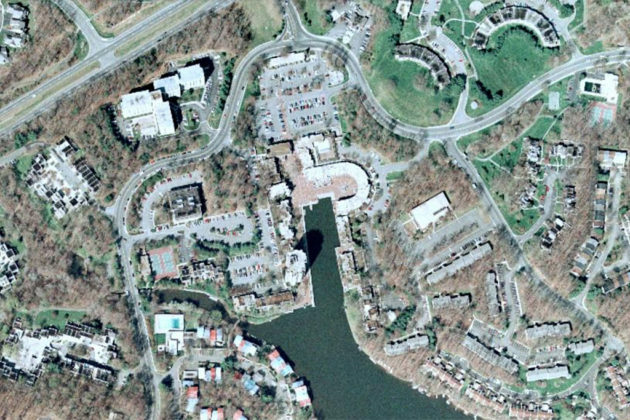 Anyone flicking through the photos overhead — taken from Fairfax County’s Historic Imagery Viewer — might have noticed that very little has changed at the plaza itself over the years. 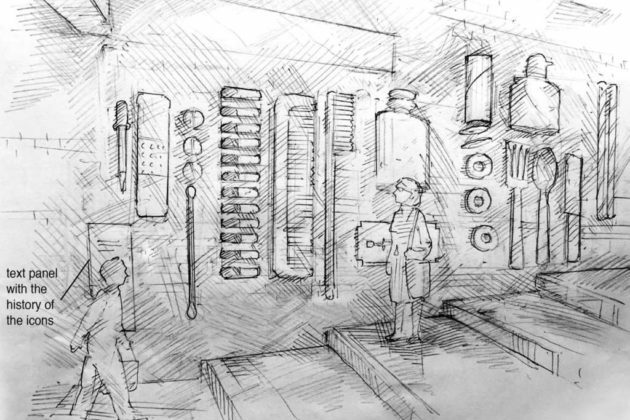 But as the Lakeside Pharmacy icons show, there’s been plenty of changes in tenants and aesthetics over the years. 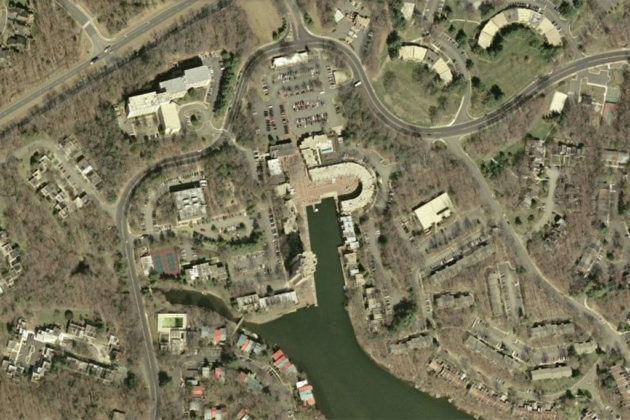 While he’s somewhat dismissive of them as historic relics, Wayne Schiffelbein, a local artist and architect who once repainted and fixed up the icons at the owner’s request, said the icons and the damages to them tell the story of earlier unease between Reston and Herndon. 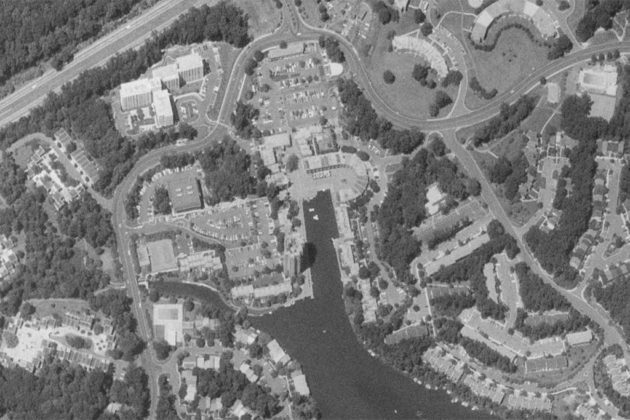 Back in the 1960s, as Reston was first getting started, Schiffelbein said there was a lot of tension between Restonians and Herndon residents who would come into areas like Lake Anne Plaza and cause trouble. Schiffelbein remembered summers where kids from Herndon would come over to his house by Lake Anne, climb onto the roof and jump out into the lake. 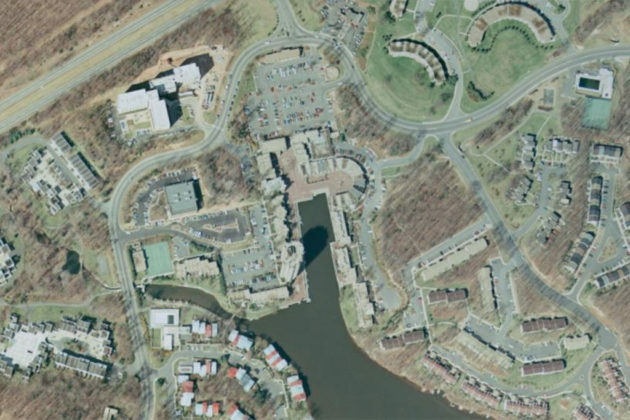 Not exactly a campaign of terror, but Schiffelbein said the Reston residents were annoyed by the constant footfalls on the roof. It was during these early years of class-tension that Schiffelbein said the drug store icons obtained the damages some of them still show. But it was Vietnam that partially put an end to the local turmoil, with many of the young men from Herndon swept up by the draft. In the 1990s, Schiffelbein said he was contracted to repaint and fix the icons after years of neglect. In the early days of the pharmacy, Schiffelbein said it catered mainly to the older residents at the Lake Anne Fellowship House. The Reston Historic Trust and Museum currently has a GoFundMe set up to preserve the icons, but it’s not going particularly well.